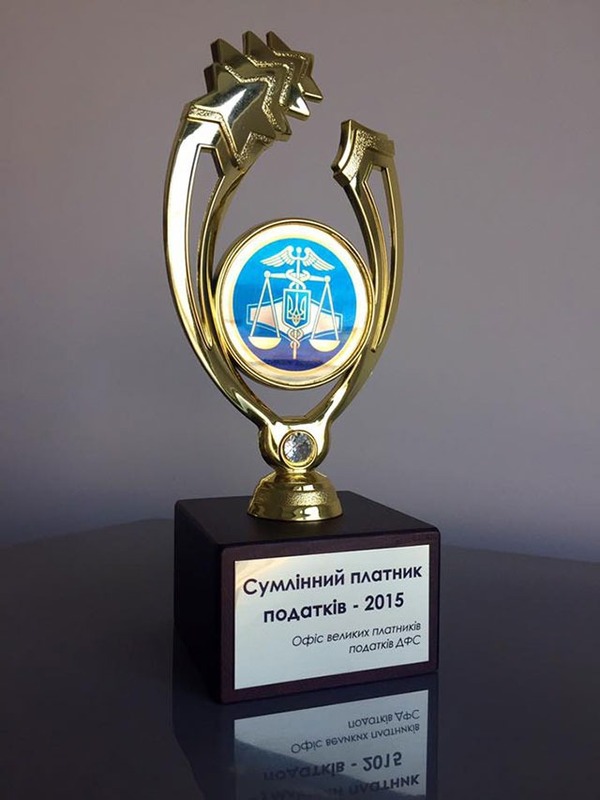 LLC “Drinks plus” entered the best taxpayers ranking of Ukraine. LLC “Drink Plus”, the part of the “New Products” companies group, is awarded with diploma of the first regional round of the All-Ukrainian ranking “Conscientious taxpayers – 2015”. This award was given for special merits and achievements in the category of “Conscientious taxpayer of the processing industry”. “This award is a further proof that the Group adheres to the principles of pure business, and works exclusively in the legal field. We believe that only this way of development can be the key to success for the company itself and for the community at the territory of which it is located. Indeed, today it’s not always easy to be a conscientious taxpayer, but this way the business makes its contribution to the Ukraine development and support its country“, – Elena Selyutina, the Communications and PR Director of “New Products” has commented on the ranking results.